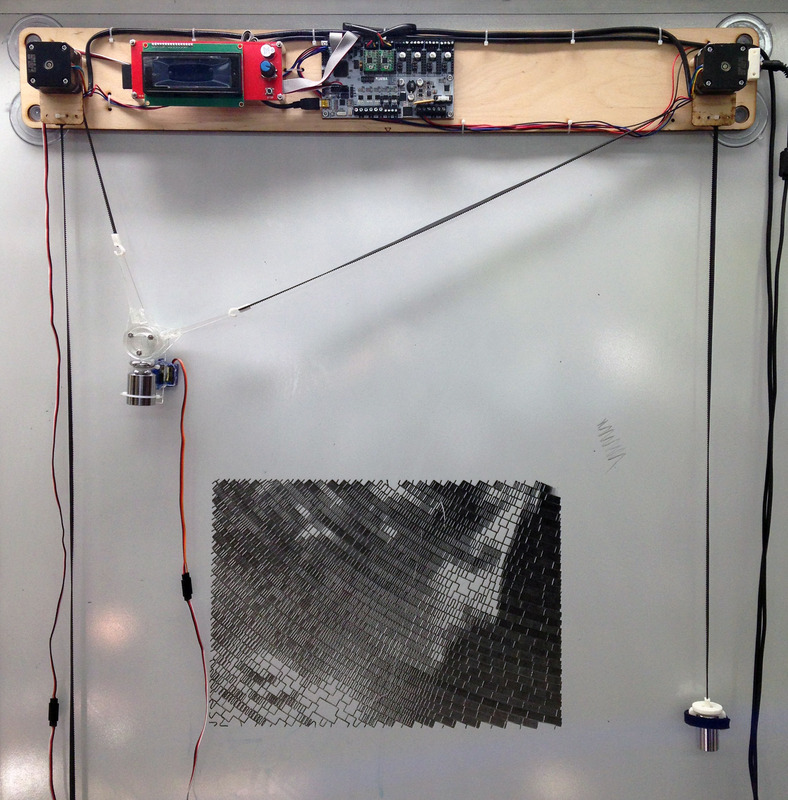 The Makelangelo is an open source art robot that draws posters and murals. It’s a fun, easy, and affordable way to learn about 3D printing CNC technology without the burning hot danger nozzle or the expensive, tricky plastic. Order a kit today or download the software and try it first. Makelangelo Five – best in class! The Makelangelo is fun. It can be used by children as young as six with adult supervision. Choosing a drawing and a color is easy – it will work with most Sharpie markers, Crayola markers, and whiteboard markers. The Makelangelo is risk-free. Print failure on a 3D printer can be expensive and dangerous. Print failure on a Makelangelo costs a piece of paper. The Makelangelo is affordable. 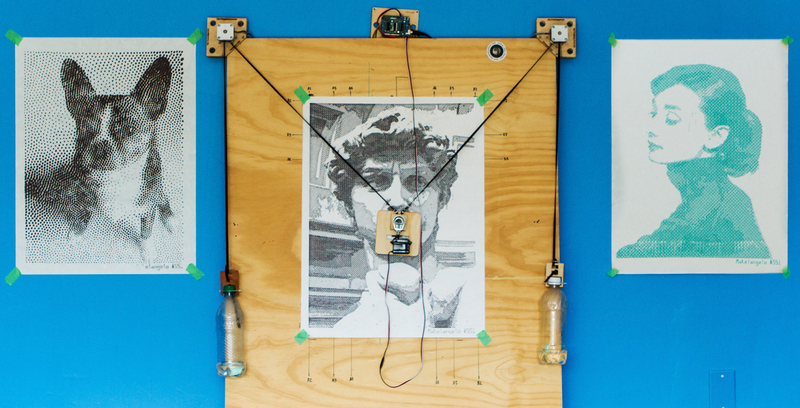 A full 3D printer uses expensive plastic that won’t fit in a school budget. The Makelangelo only uses markers and paper. 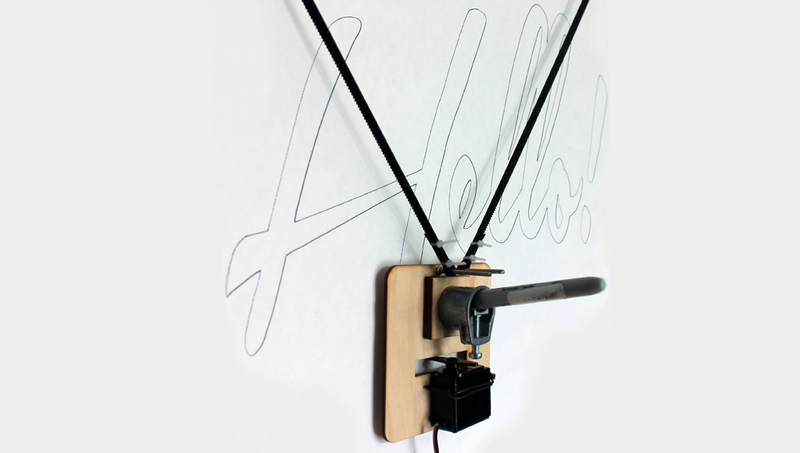 It can even be mounted on a whiteboard so it takes up no room in a class. The Makelangelo is educational. It can be hard to make STEAM – Science, Tech, Engineering, Art, and Math – relevant to young minds. A Makelangelo won’t run without trigonometry, pi, or basic algebra. It’s easy to use the robot to make STEAM lessons relevant and timely. We’ve made sure that every lesson learned running a Makelangelo will give a student the experience they need to tackle harder subjects later.